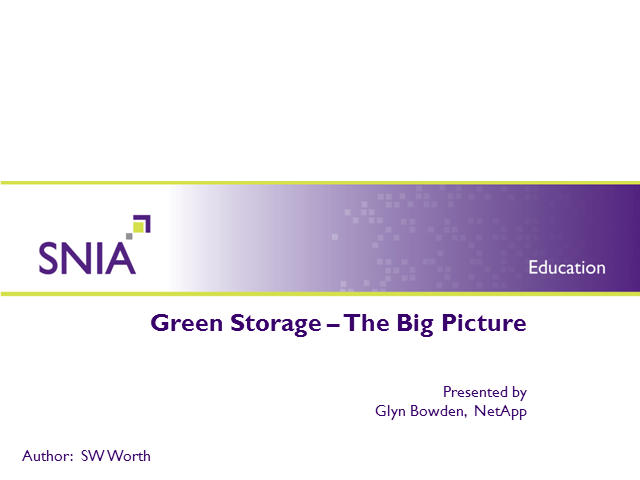 Green Storage - what does it mean to the IT ecosystem? How does Green differ from normal economic considerations, e.g. TCO, efficiency, optimization?